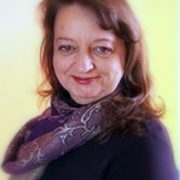 Gail Vella, CRR, RYT, CLYL, is an International Institute of Reflexology Certified Registered Reflexologist (CRR). Gail’s goal during treatment at Compassionate Reflexology & Yoga Wellness Center is to create a response to release congestion or stress in the nervous system to help balance the body’s energy so it can nurture and repair itself. Reflexology is an ancient healing practice first documented by Egyptians in the 23rd century B.C., with a wealth of ongoing scientific research beginning in the 20th century. Gail, a Registered Yoga Teacher (RYT-200) completed her Yoga Teacher Training with Sarah Filzen at Kanyakumari Ayurveda & Yoga Wellness Center in Glendale, Wisconsin. She is a Certified Laughter Yoga Leader (CLYL) completing the training at Dr. Kataria School of Laughter Yoga. She is also is certified by The Arthritis Foundation as an Exercise Program Instructor. Laughter and Laughter Yoga provides many proven health benefits, from alleviating anxiety and fears to managing anger and relieving work-related stress. Gail works with a variety of healing modalities including: Ingham Method™ Foot and Hand Reflexology, Sorensensistem Facial Reflexology, and K.H.T. – Korean Hand Therapy, a type of reflexology. She also has a special affinity for EFT (Emotional Freedom Technique), Healing Touch and Crystal Healing. Nearly two dozen scientific studies on the effects of EFT have been published, more than 300 studies on the healing effects of laughter, and more than 2,000 studies on the efficacy of healing touch therapy.